Insperity® Performance Now® helps you create employee reviews that will maximize the potential of your workforce. This easy-to-use employee performance evaluation tool with built-in intelligence and support provides help in setting goals, track performance and streamline the review process in a single system. Plus, see the other desktop products including: Descriptions Now and Policies Now. Please note: This item is not available to customers located outside the United States. Can I change the data location for Performance Now? Performance Now 8 does not allow storage outside of the default location. The default location is typically in a single SQL Server Compact Edition Database File, extension (.sdf). Are three modules still included inside of Performance Now? In Performance Now version 4 there were three separate modules within Performance Now that you could use to accomplish different tasks, such as designing forms. You can design forms and create/manage reviews all in one application in Performance Now 8. All features were rolled into one application in this current version. Is Performance Now a multi-user application? Performance Now 8 is a single user application that must be installed locally. A license must be purchased for each computer where Performance Now 8 is installed. Only one user may access the database at a time. Is Performance Now Mac compatible? Currently Performance Now 8 is NOT compatible with Mac, but Insperity does offer an online solution for employee reviews. You can obtain more information by contacting PerformanceNow@SHRM.org. 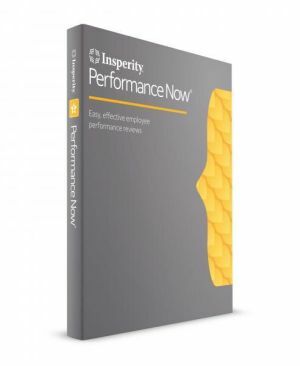 Performance Now is a software program that allows you to create performance appraisal documents. The program comes with a short (less than 15 minute) tutorial - which is very thorough - about the features of the software. If your organization isn’t prepared to hire a consultant to design a custom performance appraisal, but you want some flexibility to make the review form better align with your culture, Performance Now is worth taking a look at. The software is highly customizable so you can add a lot or just a few details. And if you don’t want to spend time customizing forms, not to worry – Performance Now has performance review templates you can use. For example, if you want a review form just for administrative staff, there is a template available. - Add your organization name and logo to the review form. It might seem like a little touch but branding sends a huge message that the company took the time to develop performance criteria. - Choose the sections you want to see on the form: competencies, review summary, development plan, goals, signatures, etc. The names of these sections can be customized as well. So let’s say, in your company, competencies are referred to as job skills. The title can be changed to reflect your internal lingo. - Speaking of competencies, you can select the ones that you want to evaluate. Performance Now allows users to define the rating scale – both in terms of the numbers used and the definition of each number. And you can assign a weighted value. - Lastly, forms can be saved so the organization can have multiple review forms. Examples could be a different review form upon completion of the introductory period. Or manager reviews that have an extra section for management competencies. Once review forms are created, Performance Now software allows the user to add employee data individually or via data import. Employees can be assigned a specific review form. For managers, the system permits the entry of events (whether those are positive or not-so-positive). Performance data can be entered on a regular basis, making the annual review process a bit easier. For example, a manager can log customer feedback when it happens versus waiting until performance review time. And if the feedback is written, it can be attached to the employee’s review file. The same applies to goals. Managers don’t have to try to remember the career development conversations they’ve had with employees all year. Goals can be added to the file on a regular basis.